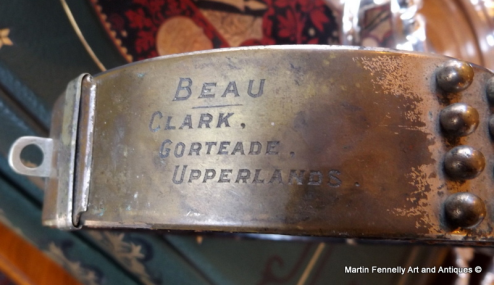 This has to be one of the rarest items I ever had in store. 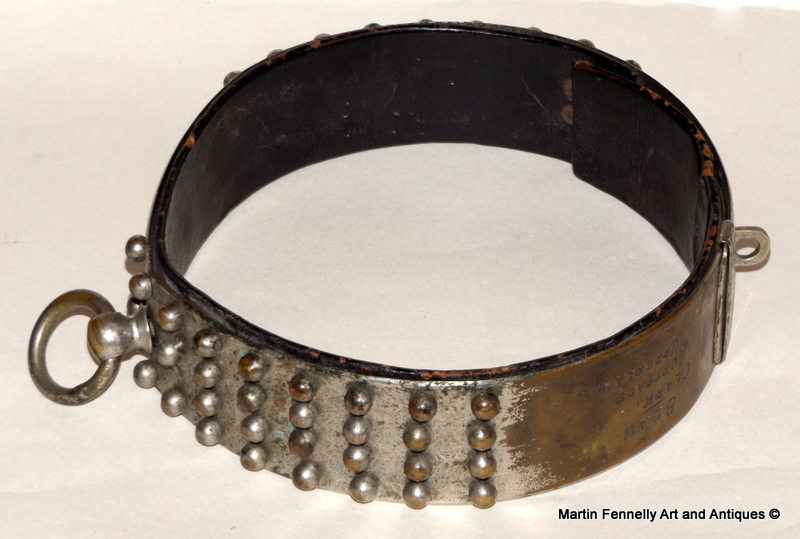 This Dog Collar was worn by a Dog called "Nellie" which was owned by Captain Lopdell in Athenry Co. Galway in the West of Ireland. Captain Lopdell owned a large estate near Athenry and lived in Raheen Hose near the town. 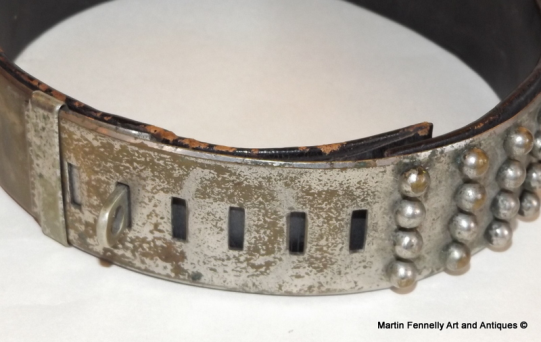 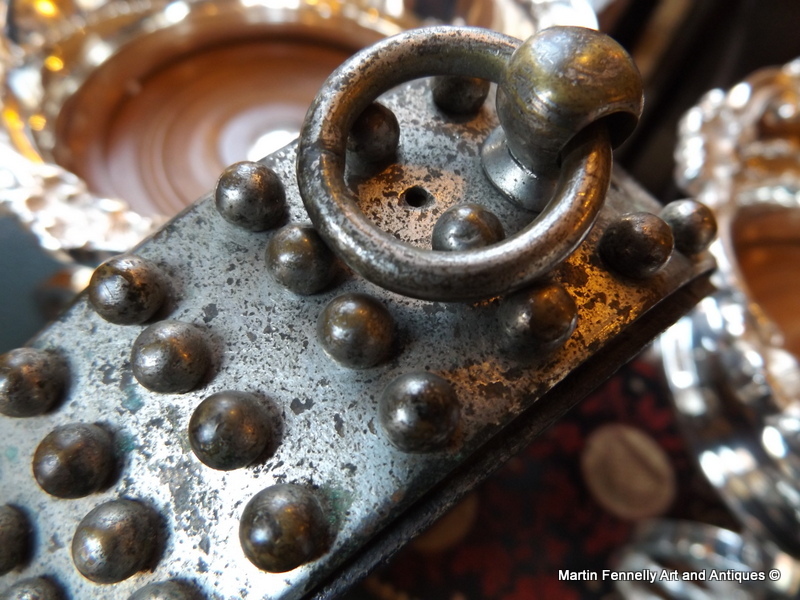 We can date the Collar to this date as there are many recorded reports of Captain Lopdell around this date. 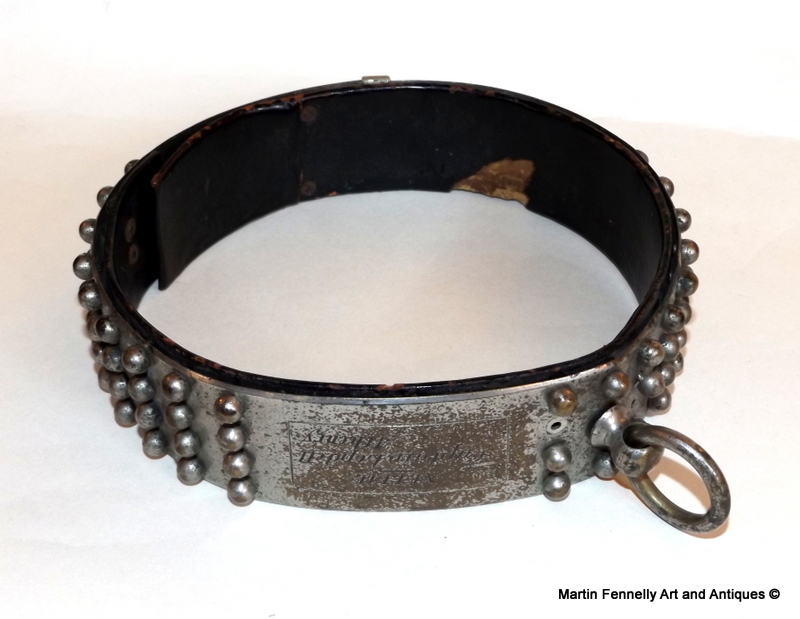 The Collar has also a second engraving which may refer to a previous dog owned by the family. The original leather is present and there is a stud or two missing but overall in pretty good shape.